The classification of the dinosaurs might seem to be too obscure to excite anyone but the specialists. However, this is not at all the case. Recently, Matthew Baron and colleagues from the University of Cambridge proposed a radical revision to our understanding of the major branches of dinosaurs, but in a critique published today some caution is proposed before we rewrite the textbooks. Every child learns that dinosaurs fall into two major groups, the Ornithischia (bird-hipped dinosaurs; Stegosaurus, Triceratops, Iguanodon and their kin) and the Saurischia (lizard-hipped dinosaurs; the predatory theropods, such as Tyrannosaurus, and the long-necked sauropodomorphs, including such well-known forms as Diplodocus). Baron and colleagues proposed a very different split, pairing the Ornithischia with the Theropoda, terming the new group the Ornithoscelida, and leaving the Sauropodomorpha on its own. Their evidence seemed overwhelming, since they identified at least 18 unique characters shared by ornithischians and theropods, and used these as evidence that the two groups had shared a common ancestor. An international consortium of specialists in early dinosaurs, led by Max Langer from the Universidade de São Paulo, Brazil, and including experts from Argentina, Brazil, Germany, Great Britain, and Spain has now re-evaluated the data provided by Baron et al. in support of their claim. Their results, published in the journal Nature, show that it might still be too early to re-write the textbooks for dinosaurs. In this new evaluation, the authors found support for the traditional model of an Ornithischia-Saurischia split of Dinosauria, but also noted that this support was very weak, and the alternative idea of Ornithoscelida is only slightly less likely. Max Langer said: “This took a great deal of work by our consortium, checking many dinosaurs on all continents first-hand to make sure we coded their characters correctly. Baron and colleagues believed their data suggested that dinosaurs might have originated in the northern hemisphere, but the re-analysis confirms the long-held view that the most likely site of origin is the southern hemisphere, and probably South America. Professor Mike Benton from the University of Bristol’s School of Earth Sciences, a member of the revising consortium, added: “In science, if you wish to overthrow the standard viewpoint, you need strong evidence. 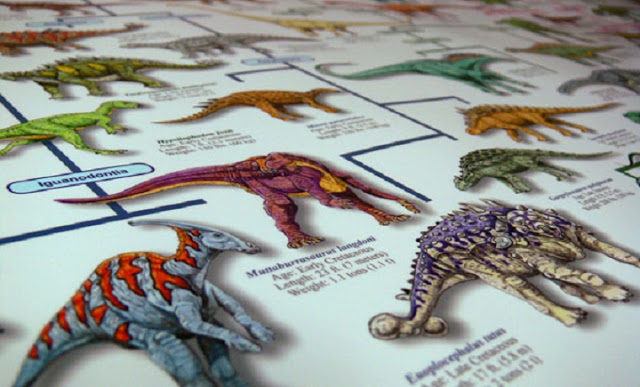 Steve Brusatte of the University of Edinburgh, a member of the consortium, said: “Up until this year, we thought we had the dinosaur family tree figured out.